KARIS is the authorized distributor for RackLift™ and Ergo-Express® lifters. 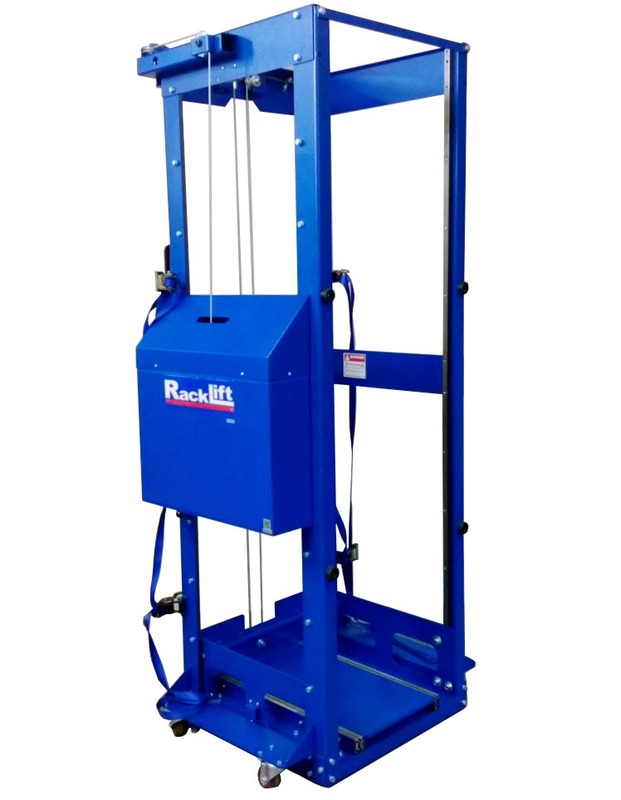 RackLift™ uses a patented hi-ratio safety winch equipped with auto-brake to facilitate heavy equipment lifting with ease and safety. When the desired rack height is reached the technician simply let’s go of the handle and effortlessly slides the equipment into the rack. No strain, no pain, no risk of dropped equipment. Lift up to 650 lbs. Ergo-Express® Lifters are a line of material handling equipment that offer huge advantages over stationary or manual systems. Lifters are useful for any industry where lifting, moving, handling and manipulation of loads takes place.